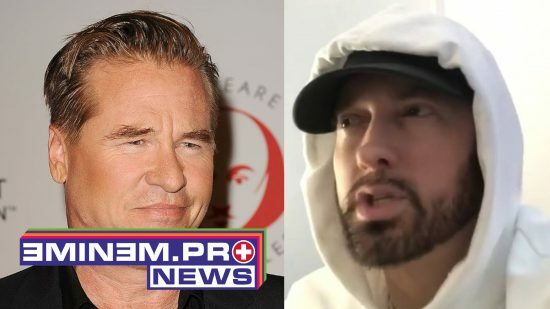 Val Kilmer replied on Eminem’s recent story, which the rapper posted on his instagram, where he told that Val had seen him naked. “I was nxt to Eminem’s trailer as a guest of 50, but sadly the only thing I saw was 50 [Cent] closing Shady’s door after they had a visit! There’s a joke in here somewhere”, – posted Val Kilmer on Twitter.